Hello everyone! Can't believe that almost 7.5 of 2014 is over and Christmas will be here before we know it! So, August got on a crazy start cause of work but now that the event's over, everything starting to go back to normal. On a side note, I've fully recover after getting the all clear from the doctor. And that means I can eat normally again! Double happiness! Met up with Trisha last week for a dinner at Din Tai Feng where we stuffed ourselves with Xiao Long Baos, Fried Rice with Pork Chop and my all time favorite, Prawn Pancake. Tummies filled and it was off to Alive Museum for an evening of fun! 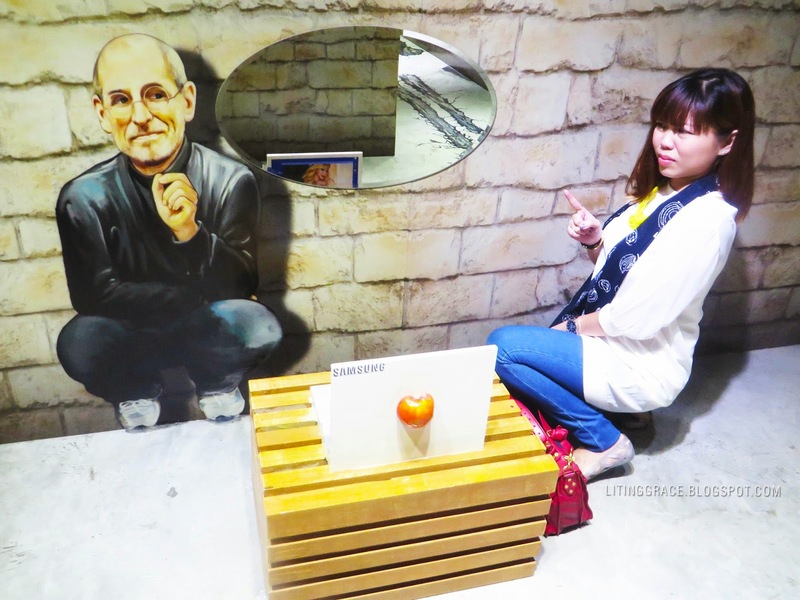 For those who have not heard about it, Alive Museum, Korea's first and original 3D visual illusion museum has landed in our sunny island, at Suntec City Mall. 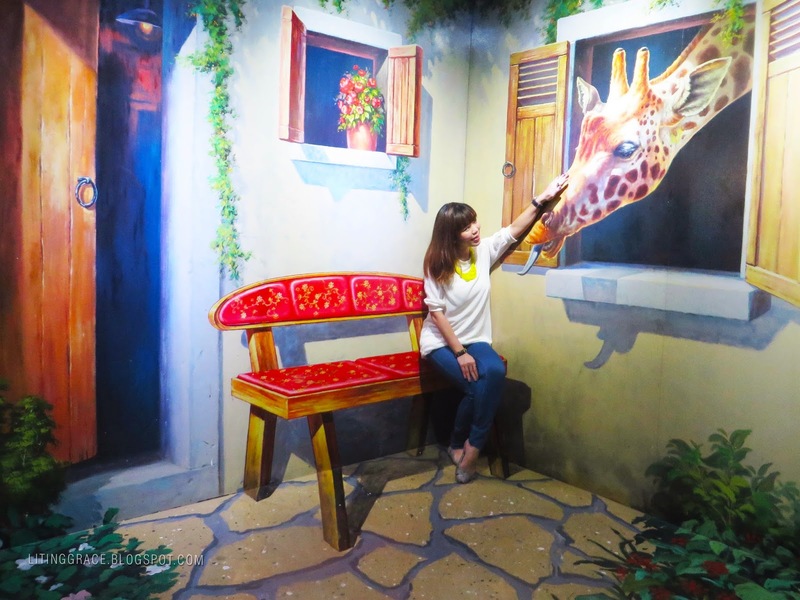 It's the biggest 3D illusionary museum in Singapore offering a sensory experience that tricks one's visual, physical and environmental perceptions, bringing fantasy to reality. So, what's this 3D illusionary concept all about? 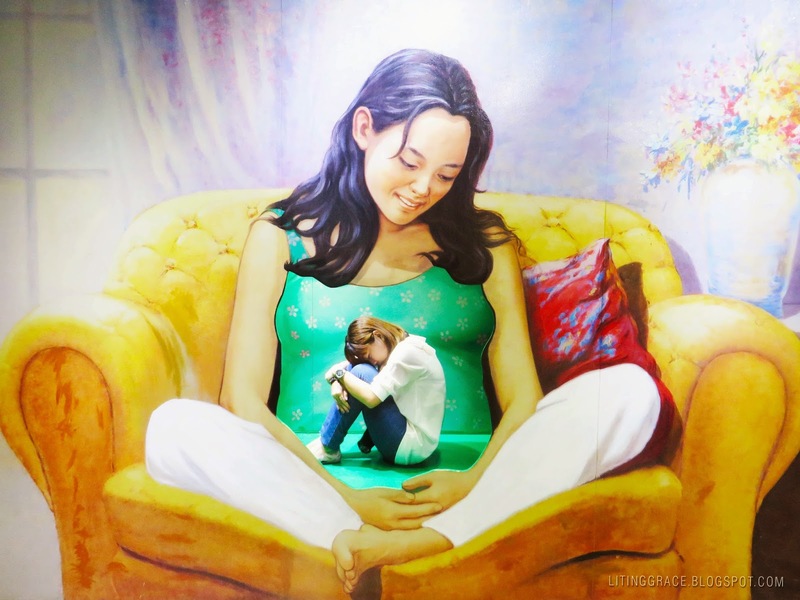 It's an entertainment concept where the use clever painting, shading and drawing techniques are used to make 2D photos alive from a particular perspective. 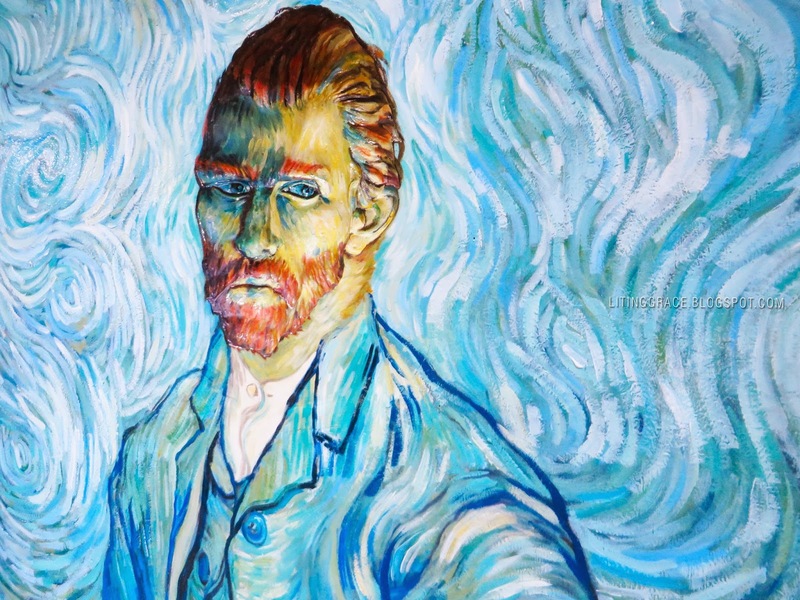 This allows viewers to feel as if a picture is three-dimensional. We were there on a Thursday evening, and thankfully, there wasn't a crowd. If you are to visit Alive Museum on a weekend, try to go in the morning to avoid the weekend crowd. I'm sure you wouldn't want to jostle with the crowd or wait in line for a long time for photo-taking. Ticket prices are S$25.00 for adults and S$20.00 for children aged 3 to 12 years old. Purchase your tickets online and get a 20% discount with the promotion code "aliveopen". 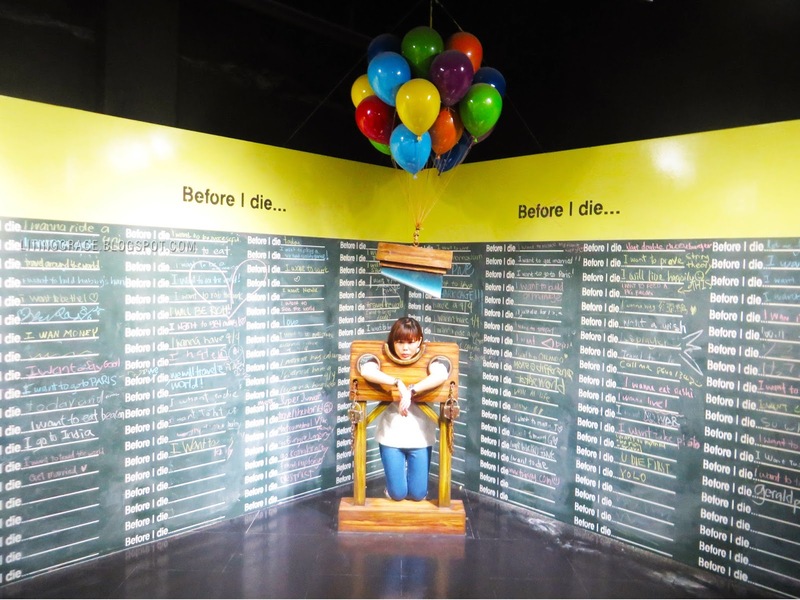 There's currently a promotion till 30 September 2014 - like Alive Museum on Facebook and get a free meal at Burger King Suntec with the purchase of a full-priced ticket. Opening hours are daily from 10.00am to 10.00pm (last admission at 9.00pm). For those like me, who are experiencing 3D entertainment attractions for the first time and are worried about not knowing where to position yourself, fret not. 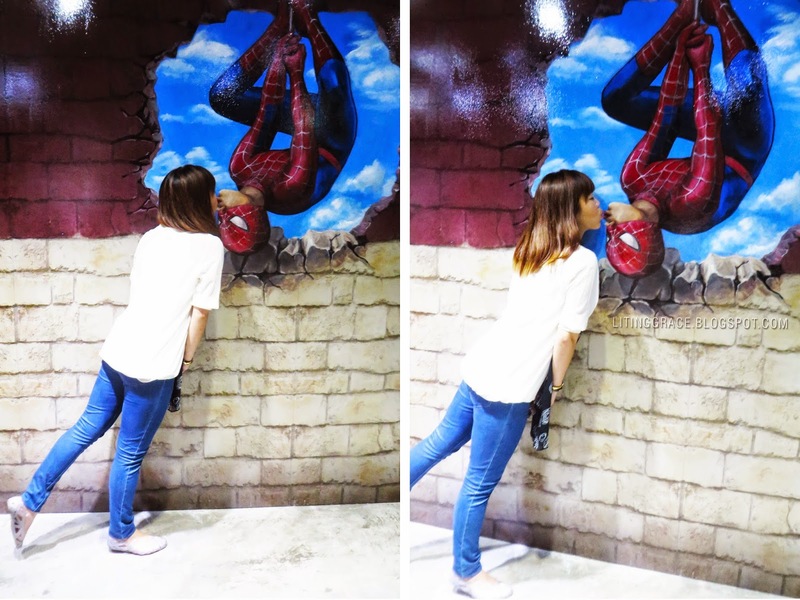 Just look out for the photo and pose points on the floor. 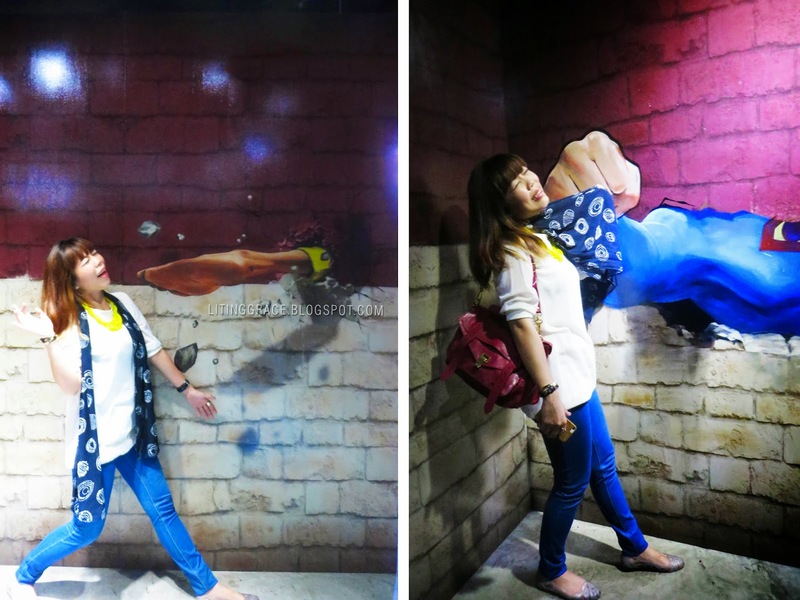 The best way to enjoy the Alive Museum experience is to have fun! Go ahead and try different poses, it doesn't matter if they seem a tad crazy, cause it's the quirkiness and fun that makes the photos Alive! However, if you have no idea how to pose, don't worry. There are visual aids to help you (as seen in the photo above). Best of all? There's free WIFI provided so you can upload and share your fun shots immediately on the various social media platform. Fun fact: Did you know Trick Art was very popular during the Baroque era in the 16th century? 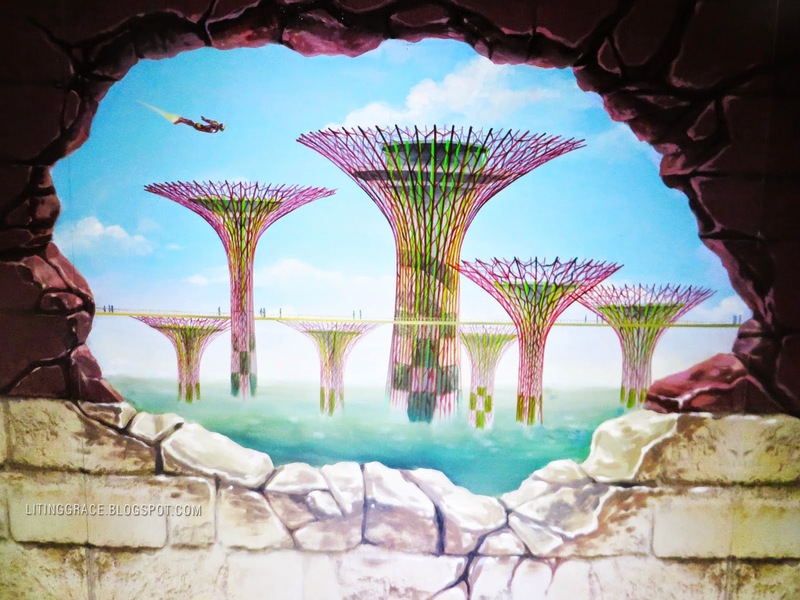 Using 3D painting techniques, art pieces like the one above trick the eyes and stimulate our mind into seeing both illusion and reality at the same time. Royalty for a moment; enjoying the feeling of being worshipped, by a group of heros no less. So do you need professional cameras or special equipments to take unique photos? Absolutely not! All you need is your mobile phone's camera or if you like, a point and shoot will suffice. 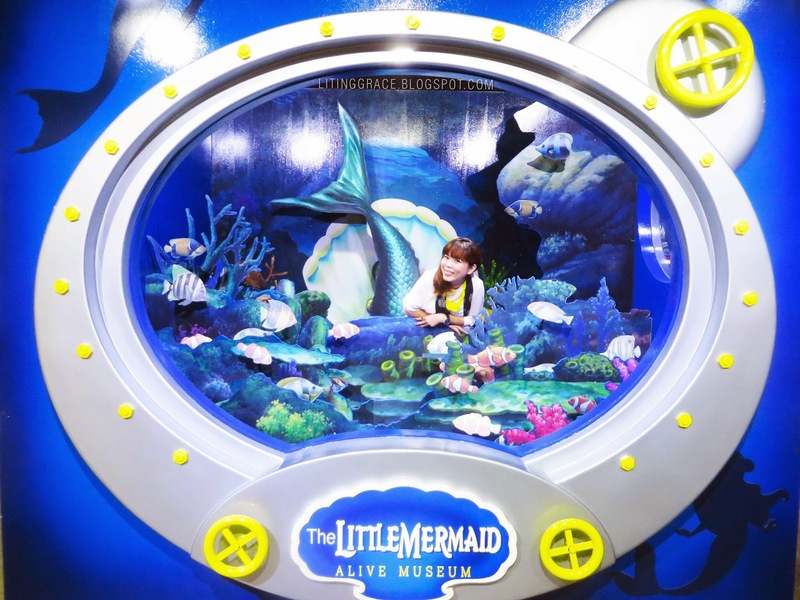 Alive Museum ensures that all visitors will have a great experience by providing all the unique props required for the picture to come Alive. Do note though that some camera flashes may be too strong and appear as a blinding spot in photographs, so avoid using flash if you can. 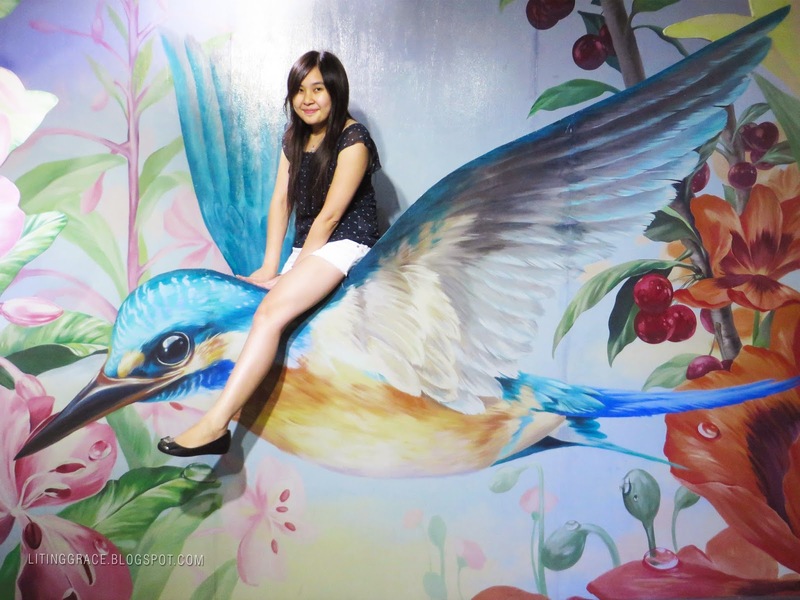 The artworks in the museum are designed for photo-taking without the use of camera flash for best effect. I can be a mermaid too! There's no harm in dreaming right? 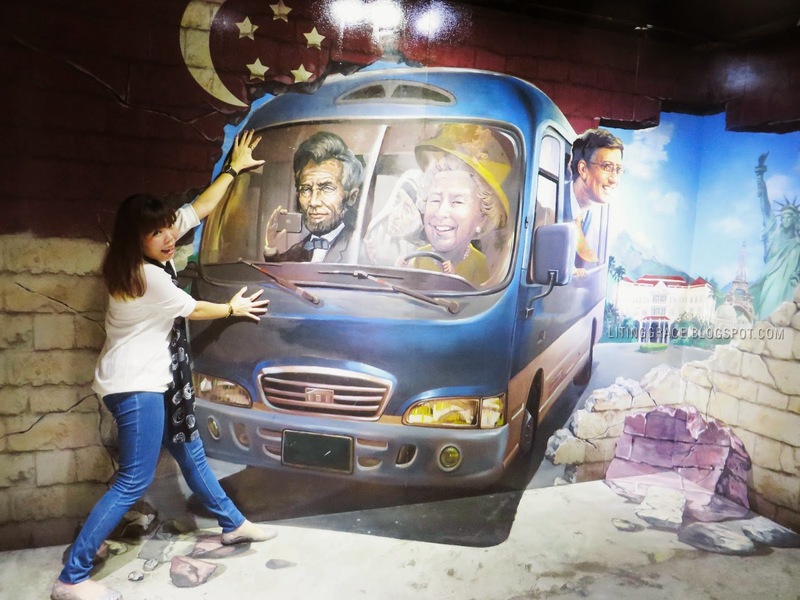 What's truly interesting about Alive Museum is that there are over 80 masterpieces, of which 9 are locally themed and unique to Singapore. Can you see what I see? And is that laptop from Samsung or Apple? So I tried to do a moonwalk but I failed, miserably. 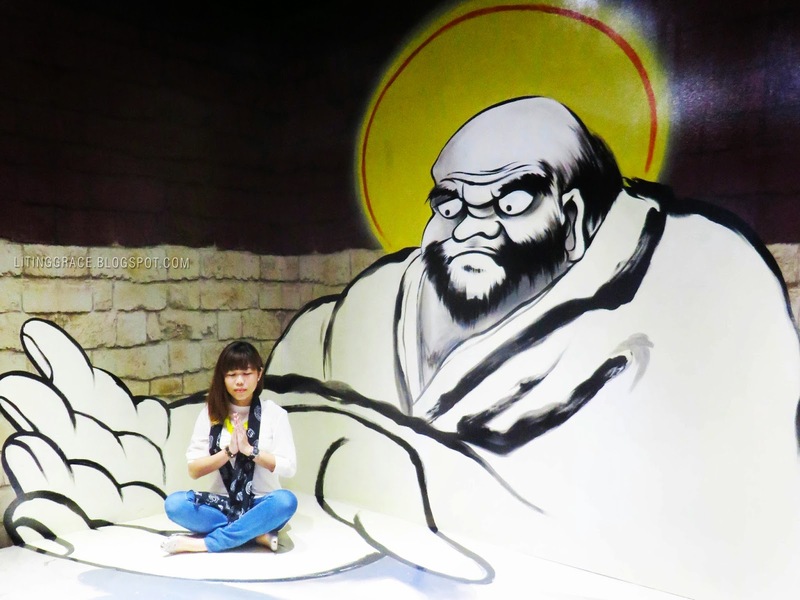 Do not disturb, meditation in progress. Love Trisha's expression in this shot! 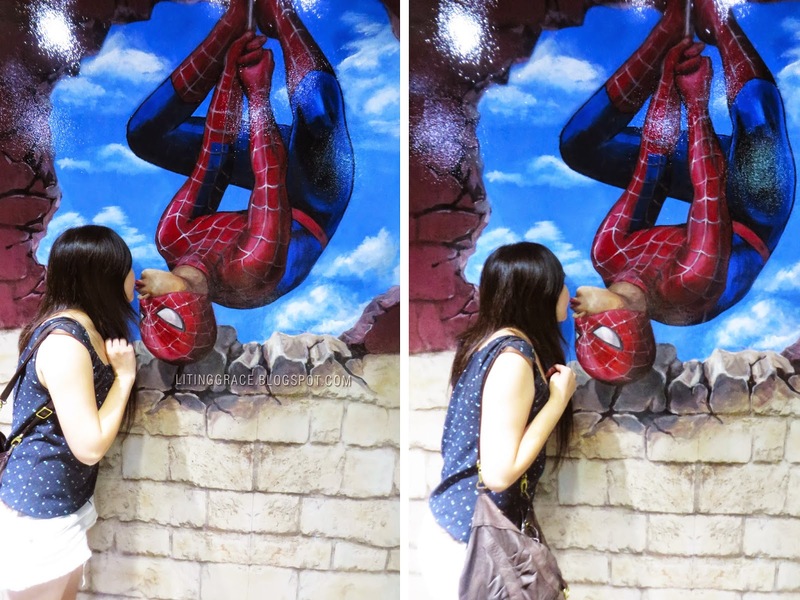 This is one of the popular artwork; we just had to reenact that scene from Spiderman. If only it was for real. 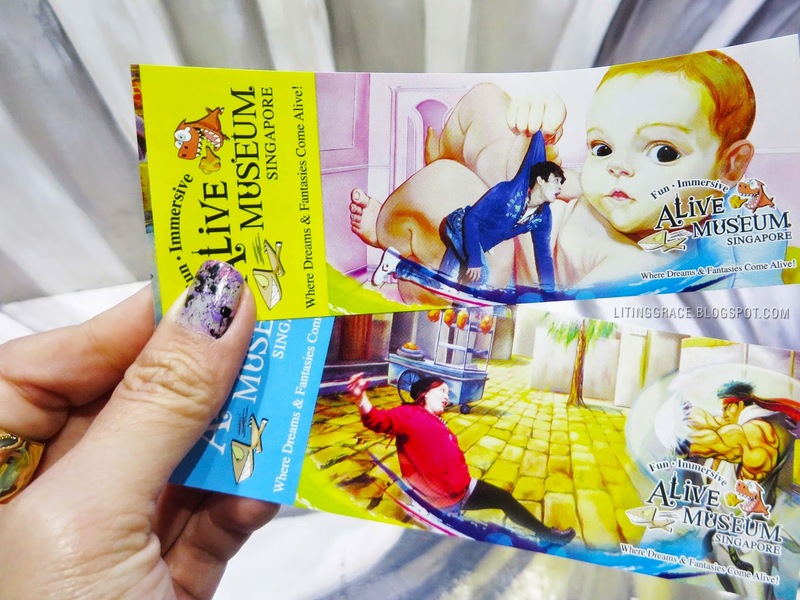 Alive Museum's vision is that every experience should be fun and entertaining for all. 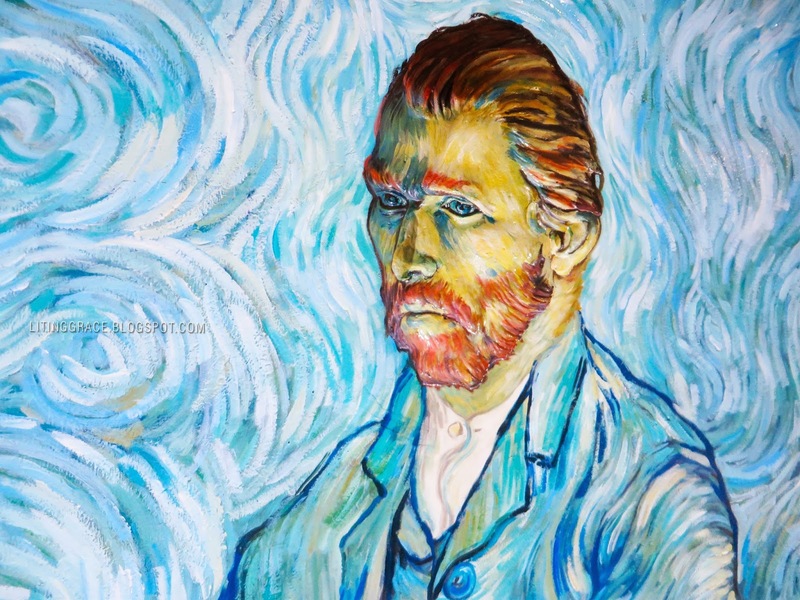 In line with that, 30% of their exhibits will be switched for new ones every 12 to 18 months. 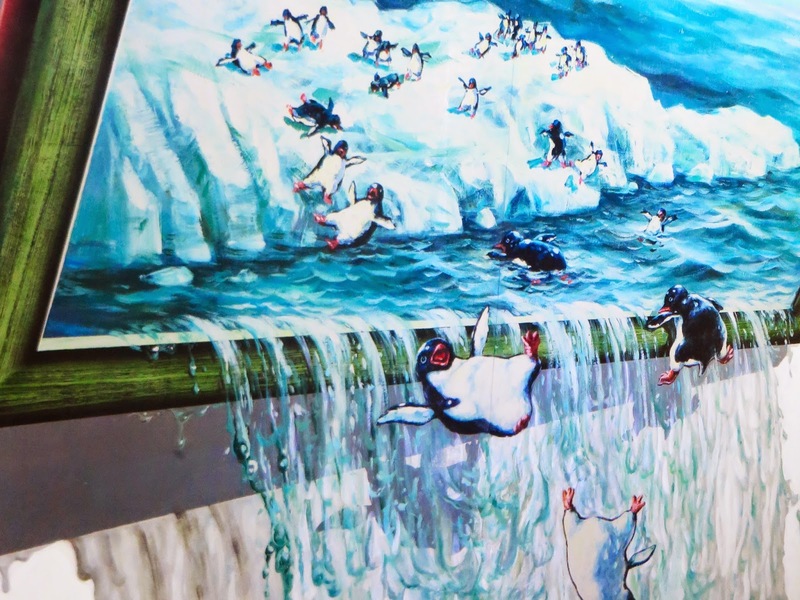 On special occasions like Chinese New Year and Christmas, Alive Museum will also bring in different unique paintings and exhibits to tie in with the theme. 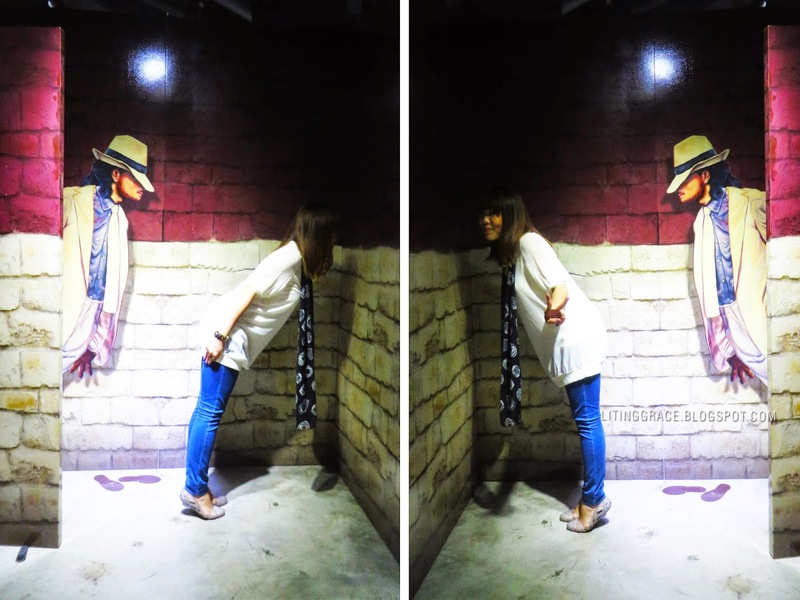 Two extremes here; the photo on the left was the hardest to pose, while the one on the right was the easiest. 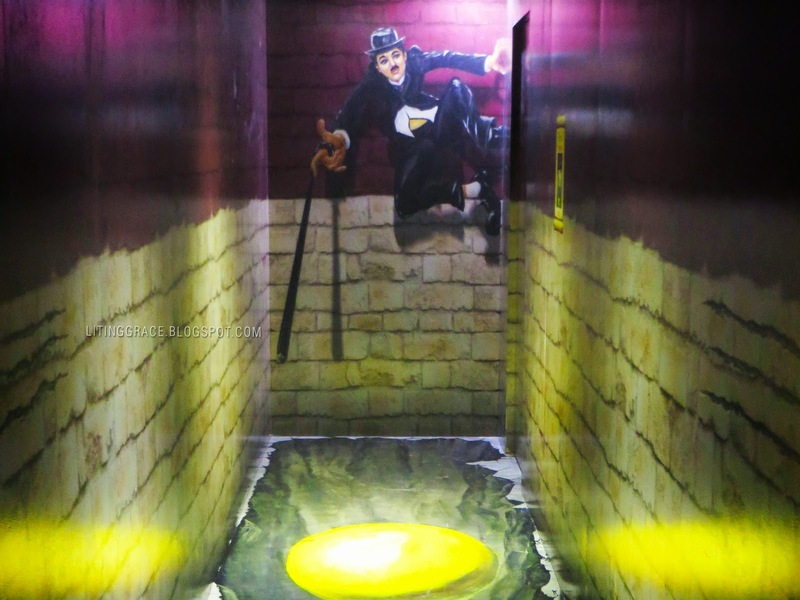 Attire wise, I would advise you to dress comfortably, outfits that will allow you to climb all over the exhibits. For ladies, dresses are definitely a big no, no, unless you don't mind flashing at anyone. 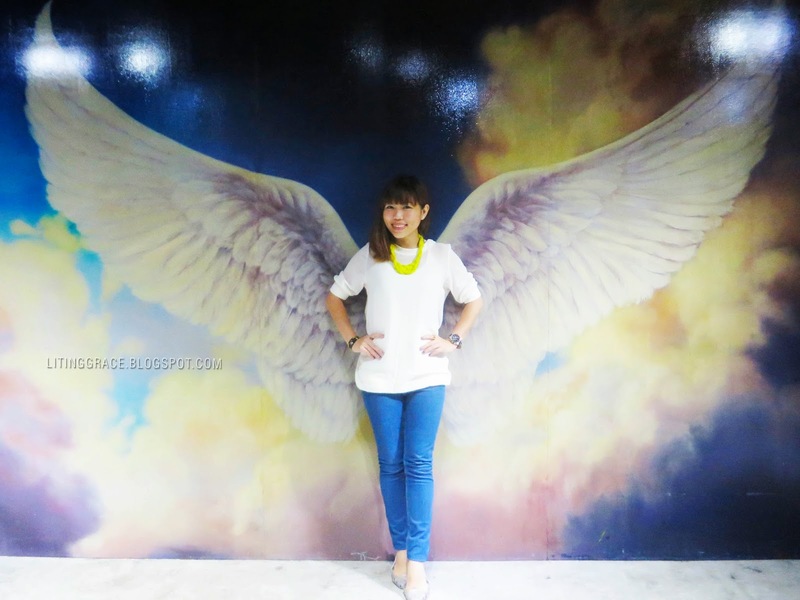 I, too, can have gigantic angel wings. And I believe I can fly. In my dreams though. What do you wish to do before you die? 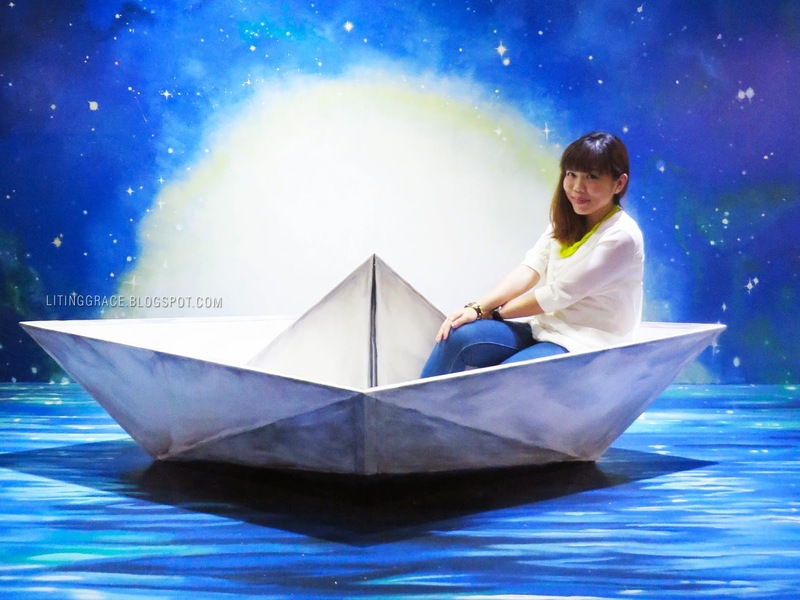 Floating in a paper boat. Here's wonderful Trisha getting ready for her flight. A special and big thank you to this lovely girl friend of mine for being my photographer, capturing all majority (90%) of the photos in this post, carrying my bags and checking my poses. Most of all, thanks for your company and the laughter-filled and fun night. And here's my favorite shot! The pose looked pretty easy in this photo but trust me, it isn't. I'm not going to tell you why, you will have to find out yourself. 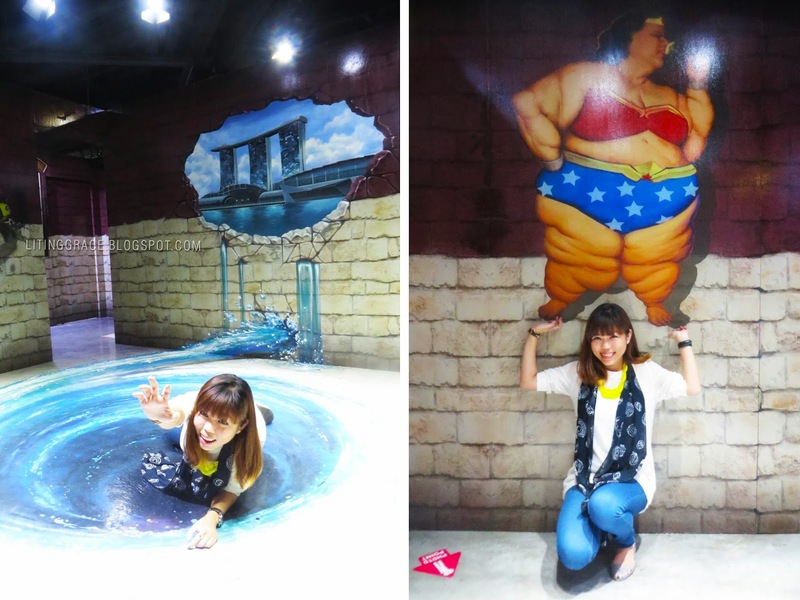 This pretty much sums my experience at Alive Museum. The exhibits featured here are only a portion, there are many more exhibits which are not featured here. 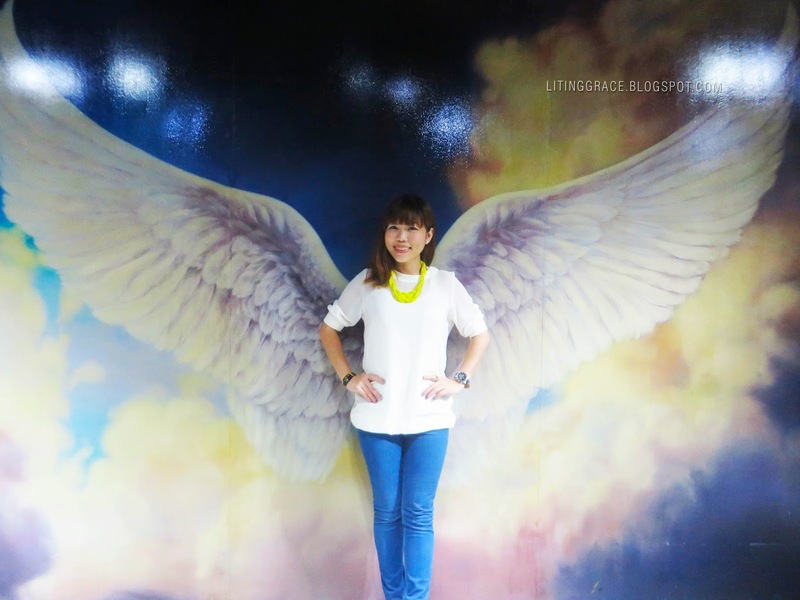 If you wish to know more, hop over to their website at http://alivemuseum.sg/ or like their Facebook page here. 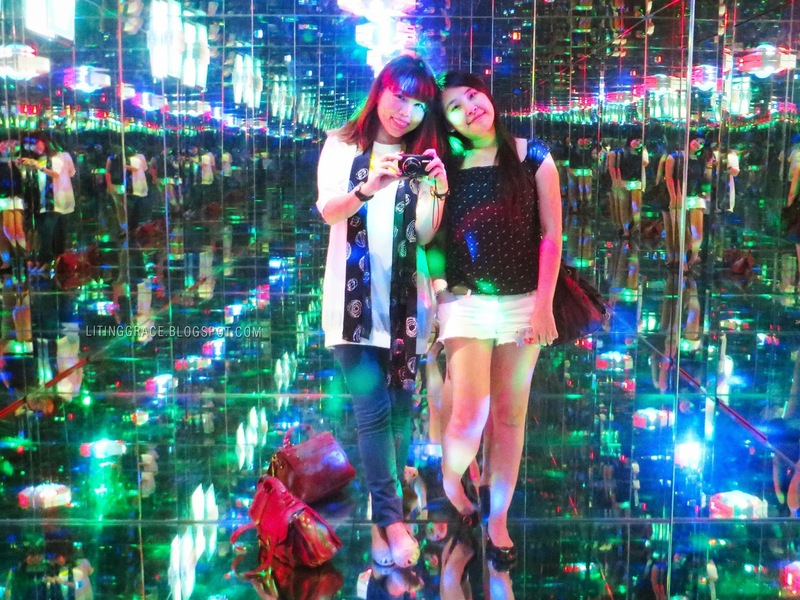 Thank you omy.sg and Alive Museum Singapore for this wonderful experience. I will definitely be back again!